This past Wednesday for our regular staff development session, Bush Radio staff and trainees watched an interesting documentary called “The Distortion of Sound” about their perceived decline of sound quality and how technology has changed the way we listen to music. Featuring: Mike Shinoda, Slash, Quincy Jones, Snoop Dogg, Steve Aoki , Lianne La Havas and others the documentary makes for some interesting viewing. The documentary raised some interesting questions and comments from the group – ranging from progress versus technology to agenda setting. Thanks to Ernestine Deane for directing us to this documentary and several others. After a few months of construction, tweaking (and some twerking) and training we officially launch the Bush Radio Digital Broadcast studio today 1 May 2015 in honour of all the workers who have sacrificed for our democracy and helped to open the airwaves in South Africa. The studio was constructed by the team from Buck Broadcast and funded through a grant from the Media Development and Diversity Agency (MDDA). 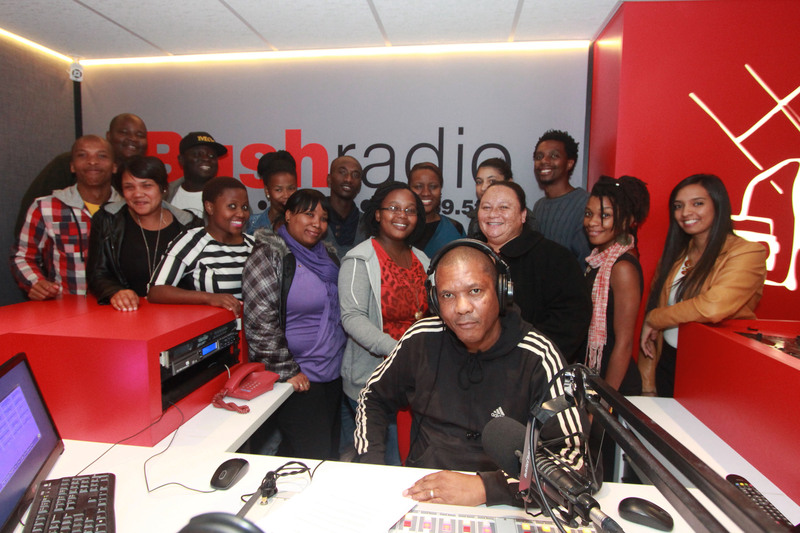 The new digital studio will help Bush Radio to continue to be the leading incubator of young radio talent on the continent while providing listeners with the best quality sound possible. With all the talk of digital broadcasting we thought we’d take you back to a time in radio when editing in radio involved chinagraph markers, razor blades, magnetic tape and using your ears not eyes to edit. Below are two short video clips shot at Bush Radio demonstrating editing on a reel-to-reel (open reel) machine and the second showing how we used to create musical loops. 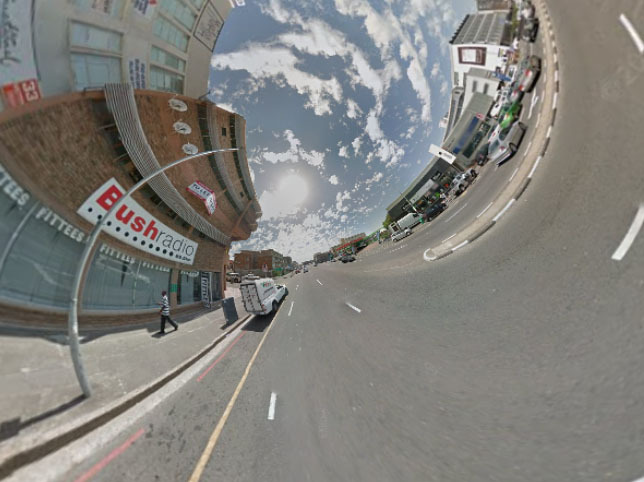 While planning to undertake a major transition to digital in 2012, Bush Radio, AKA “The Mother of Community Radio”, recently found themselves in a position where an interim studio upgrade was urgently required in order to maintain quality broadcasts. 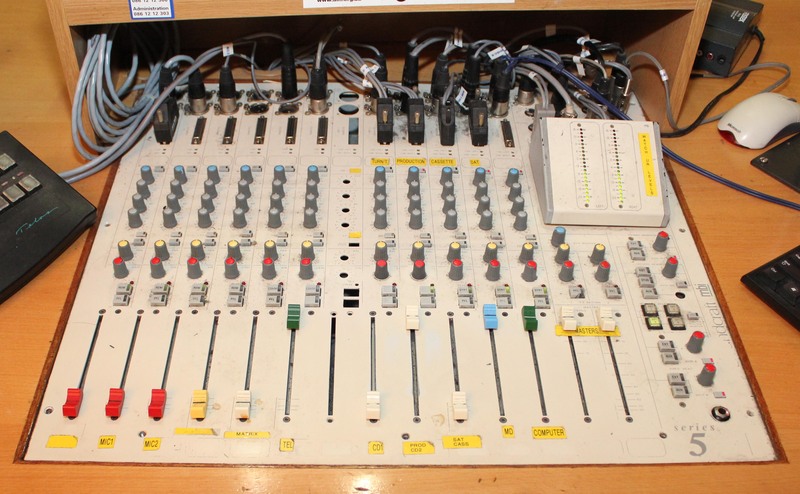 The stations on air studio has been in service for many years and critical items such as the mixing console and CD players have surpassed their useful working life and are close to failure. To avoid the risk of disappointing their listeners with poor quality or interrupted broadcasts, an appropriate solution that targeted technically weak areas was urgently required. To implement this, Bush Radio contracted Buck Broadcast to supply and install key new equipment while undertaking a major service and calibration of their existing systems. In addition to the the installation of a new Soundcraft modular broadcast mixing console and two Tascam CD players, all existing studio equipment was removed, cleaned, serviced and reinstalled within a four-day period. Furthermore, customized wiring looms and system interconnects were fabricated and installed. After a smooth switchover from their back up studio, the new system has been met with enthusiasm from the many presenters who have struggled along with the old equipment for so long. Buck Broadcast looks forward to the opportunity of implementing a more comprehensive digital solution in the year to come but in the meantime are satisfied that Bush Radio now has a more reliable interim system in place to see them though to the digital phase. * The studio upgrade was made possible through a joint project by Bush Radio and the UNESCO International Programme for the Development of Communication (IPDC) which included a “Women and Technology” training course.